So you have decided to take the DIY dive and start building your own headphone amplifiers! If you stick with it, you are going to learn a lot about audio and electronics theory and develop several handy skills in the process. Intention is one thing and action is another though, so now that you have the motivation, how do you channel it? Unfortunately, there is a not-so-romantic beginning. You must start by learning about electrical safety. If you are building anything that requires electrical power, either by plugging into the wall or by using batteries, you must respect the potential hazards. Anything below 24 volts is generally considered fairly safe, but even these low voltage designs are plugged into mains electricity. As a beginner, it goes without saying that you should not jump straight into 500 volt vacuum tube designs. Battery powered designs, on the other hand, are pretty safe (unless you are planning on eating them). Recognize that this list is not complete! Before you jump into building, wander around some DIY communities to get the lay of the land. Ask questions, even if they make you sound like a total noob. Many kit manufacturers have forums attached to their commercial websites, but stand-alone communities such as diyaudio.com, the DIY section of Head-Fi.org, the diysound and diytubes pages on Reddit, and others can also be invaluable assets. Pay attention to what kits or designs are being discussed. While this isn’t an indication of quality, it is an indication of how large of a user-base exists for a given DIY product. The more people you see discussing what you intend to build, the more likely you’ll find support if it is needed. Everyone runs into problems with builds, and other helpful DIYers are what will get you out of a jam when you’re starting out. So you read about safety, right? Right. Ok, let’s go shopping. You get what you pay for, even on import-fi kits. If a kit is too cheap to be true, you are probably missing something. Save these for when you have enough experience to troubleshoot and work without instructions. When considering kits, take time to do some research and make sure a company is legitimate instead of a fly-by-night that’s tossing parts into a box based on some classic (or unattributed) design. Pro Tip: many forums will not be so generous if you ask questions about what they feel to be ‘stolen’ or unauthorized commercial kit versions of someone else’s work. Do not buy from a company if it does not have a decent set of specifications and instructions; in other words, buy from companies that have good websites and product literature. A lot of the amps on 3rd party sites (Alibaba, eBay, Amazon, etc) do not have their own web presence or only have a superficial page. If these companies cannot be hassled to invest in a decent website, they won’t be likely to invest in quality engineering, parts, or documentation either. Parts quality is important. If you’re thinking about a $50 kit that will cost you another $50 to upgrade the tubes or capacitors, keep shopping. Designs may change sound slightly with the (same spec) parts, but if the change is dramatic it probably means that the original parts were ALL rubbish and/or the circuit is not well implemented in the first place. In addition, for the cost of a cheapo kit and upgraded parts, you’re getting closer to something from a reputable and established DIY outfit. So, who are some reputable and established kit vendors (in my opinion)? If you want to save yourself some failed projects and frustration early on, start with all-inclusive low voltage kits. This will let you focus on your soldering technique at voltages that will not be dangerous if you mess up. Usually, you will not even have to consider panel-mount jack wiring. The power supplies are typically wall-warts as well, eliminating one of the more intimidating aspects of DIY: AC inlets and mains wiring. There are even vacuum tube kits available in the 24V-48V power range (often a combination of tubes and solid state). The C-Moy is one of the headphone granddaddy designs and is still offered in a kit by several vendors. This opamp-based amplifier runs from a 9V battery and is about as simple as they come. Nevertheless, JDS Labs provides an excellent instruction manual. Side note: this is the design your author started DIY audio with a decade ago. Love or hate the O2 creator’s unforgiving style, there is no doubting the popularity of the open-source amplifier he created. JDS Labs again is one company offering a kit as well as enclosures with and without pre-drilled panels. You can find detailed assembly instructions on NwAvGuy’s blog here. Both O2 builders and amp owners are easy to find in any headphone audio community. Garage1217’s catalog of low-voltage DIY amplifier kits is notable if only because they are squeezing tubes into low voltage designs. All of the well thought out engineering to keep the tubes and your headphone happy is just icing on the cake. The Project Ember is their flagship product and another great example of documentation done right. Available with both clear and aluminum chassis. You definitely want the clear though. Once you have a handle on soldering, safety, grounding, and maybe even some light troubleshooting, you are ready to move to higher-voltage and BYO parts designs. Higher performance often comes with more complication. Consequently, there are fewer ‘everything included’ kits. Here again it’s good to work from a board (or very detailed instructions) so that the decisions you have to make with regards to routing wires, parts placement, etc are minimized. When building from a board, you will usually still have to run wires from transformers to the board, implement a safe chassis grounding scheme, and wire and install switches and fuses. Ask questions when you are unsure! Remember that bit about finding DIY communities and active user-bases? If there’s a tube headphone design that you’ve seen discussed before, it’s probably the Bottlehead Crack. Is it best used with high impedance headphones? Yes. Does Bottlehead make other kits that outperform it? Sure. Is there another tube headphone amp kit that is as well known or supported by a community of users? I don’t think so. Kits include extremely high quality and carefully guarded documentation (which I’ve seen, but we can’t share here). Consider also the Speedball CCS upgrade if going this route. Tom Christiansen is a long time DIYer, but his brand Neurochrome (2010) is a relative new-comer to the DIY kit game. That said, he is fast building a reputation for extremely well-implemented designs and PCBs with stellar measured performance. If the monotonically decaying harmonics of tubes aren’t your cup of tea, consider the ultra-revealing wire-with-gain HP-1. Note that parts sourcing is left up to the builder, but chassis, jacks, and board are available from Neurochrome. Thorough discussion of the design can be found here. If it could be said that there’s a cutting edge of a 100+ year old technology, John Broskie’s TubeCAD would be that cutting edge. Although not everything that Broskie dreams up becomes a kit, builders like you or me would be lucky to get only 1% of his interesting thermionic thought experiments on a board. 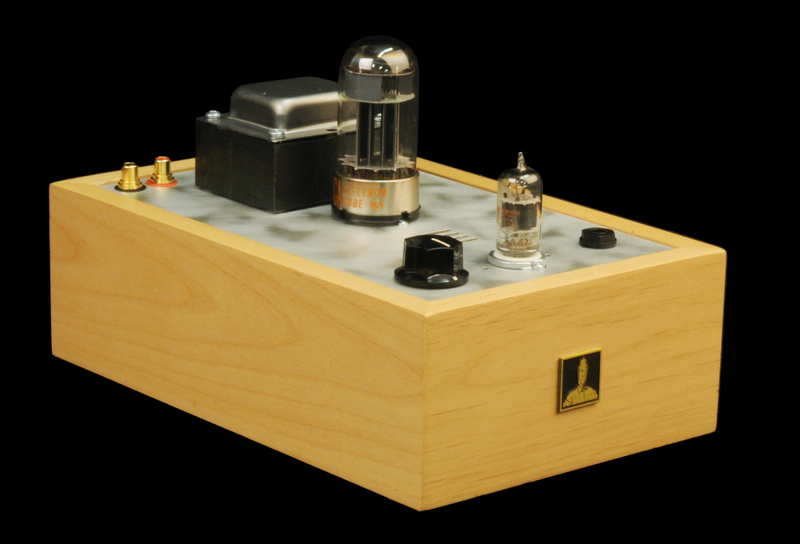 The Aikido is an elegant four triode OTL arrangement with built-in ripple rejection on the output and an active load on the input. See a description of the design and board here on Broskie’s blog. This is bring your own power supply (though TubeCAD has a nice selection of those, too). Comes with a thorough build guide. Once you can build point-to-point or directly on a proto-board from a schematic, a whole new world of possibilities opens up for you. The vast majority of designs have never been silk-screened onto a PCB or offered in a kit. With enough proficiency, you can read a newly published article online in the morning and start building in the afternoon. This is also where safety falls entirely on your shoulders. You will be responsible for all the layout and design choices, and errors in a schematic or your interpretation of it can be dangerous. Generally, you will also now have to make many more parts choices (though a bill of materials is often available from designers). Although we don’t have room to cover every available DIY kit or design here, I hope the above examples give you a road-map to consider as you embark on the DIY journey. These are all amps that I have built, heard, or seriously researched and I wouldn’t hesitate to build any of them if I weren’t already off on my own tube design journeys. Have fun. Build safe. 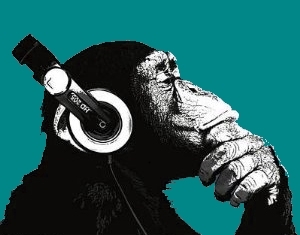 Enjoy music.